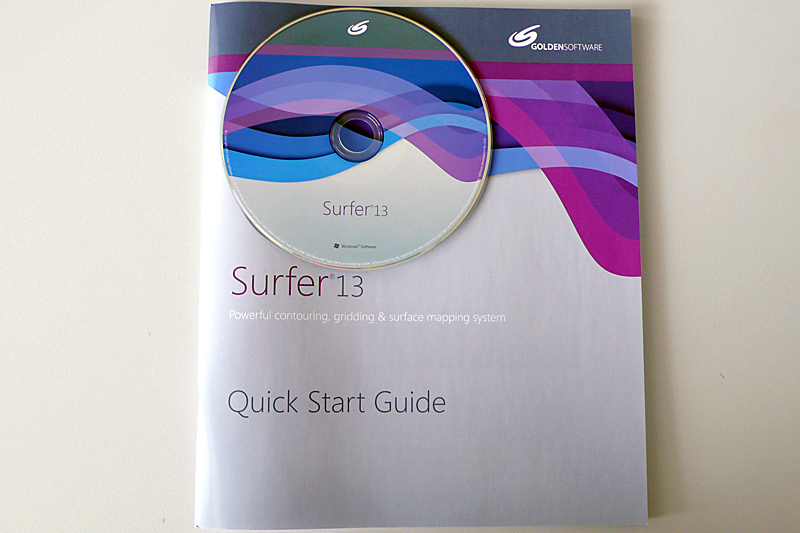 After recording field data the Surfer Software easily and accurately transforms the stored data into color, contour, surface, image or vector maps on a computer in minutes. Computer running on Windows 7 (Microsoft TM) or higher, 1GB RAM, 100MB free hard disk space, 1024x768 or higher monitor resolution with a minimum 16-bit colour depth. 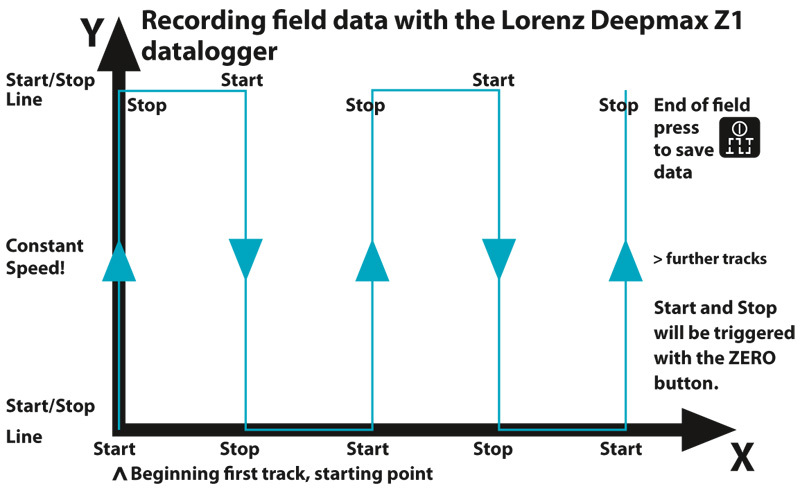 The LORENZ DEEPMAX Z1 Data Logger Hard-/ Software developed by Lorenz Detecting Systems is first of all easy to use, very accurately working and affordable. 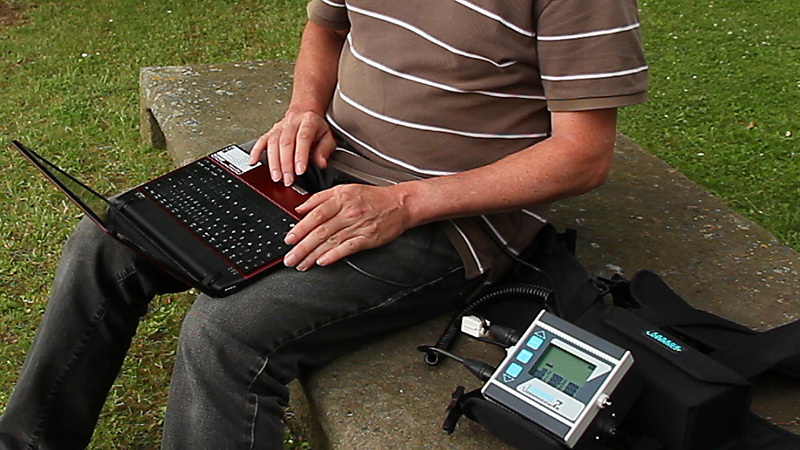 Only three controls of the DEEPMAX Z1 will make data acquisition a pleasure for both beginners and professionals like engineers, geologists, archaeologists, scientists and many more. 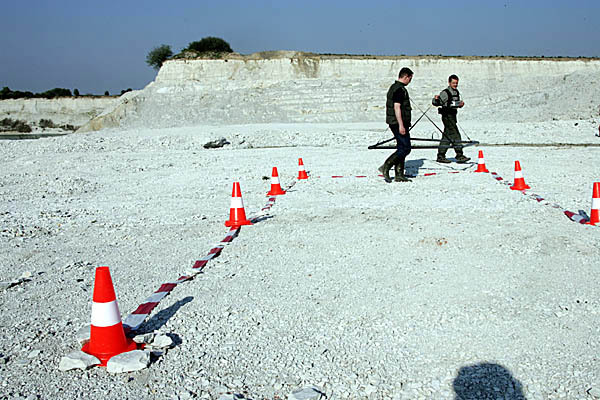 The users will investigate mainly for waste disposal, meteorites, or lost aircrafts. No non- sense functions will confuse the operator. Six different maps will be generated simultaneously when covering the ground with multiple tracks. 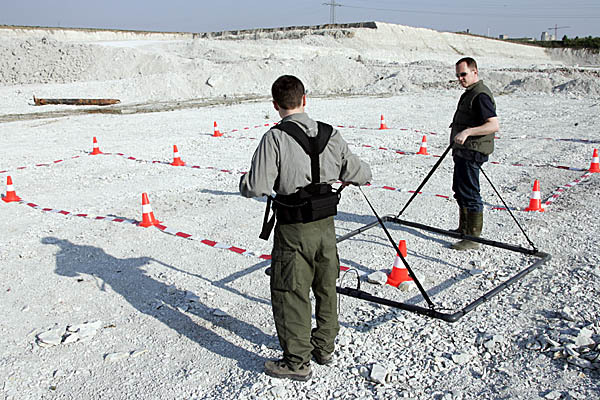 Each scan/ map is different depending on the electronic analysis method and therefore will not only give different sensitivity ranges but can be the key to the probable kind of metal buried in the ground. There is clearly a difference in the signature metal objects and ground conditions will give for example. Areas of disturbances in the scans will directly lead to the different metals or ground signals and therefore can be classified in some ways. The operator therefore can use the different scans to his advantage in order to choose between the objects of most interest only by comparing the different scans/ maps. 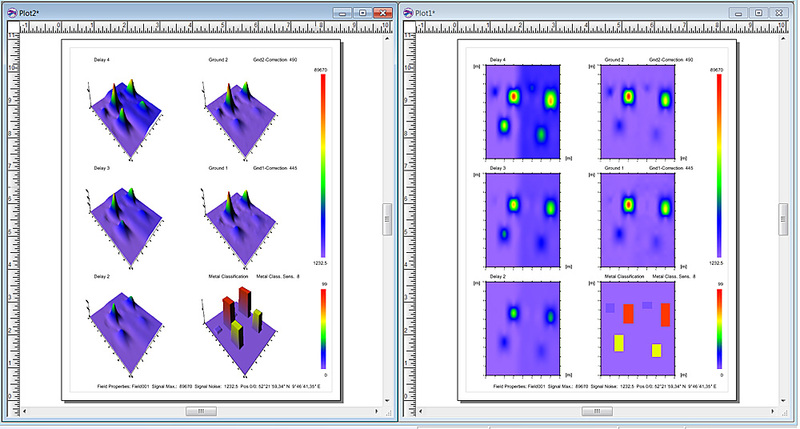 Three delay channels will produce maps with different sensitivity to small and large metal objects. Two ground channels will enable the operator to generate maps with no ground response but Z dimensions. In addition the Metal Classification channel will display the delay of the eddy currents of each signal with a specific color to give further information on the probable kind of metal in the ground. 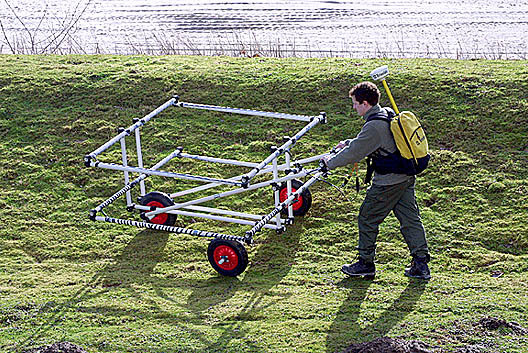 No matter how strong the ground is mineralized or how many different metals are located in close proximity, this new device will ensure very good results even with difficult surrounding conditions. 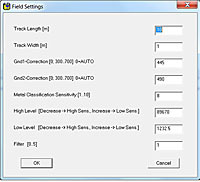 Faults produced by the operator or the environmental conditions like overload signals from nearby metal objects for example will be immediately seen when comparing the six channels. 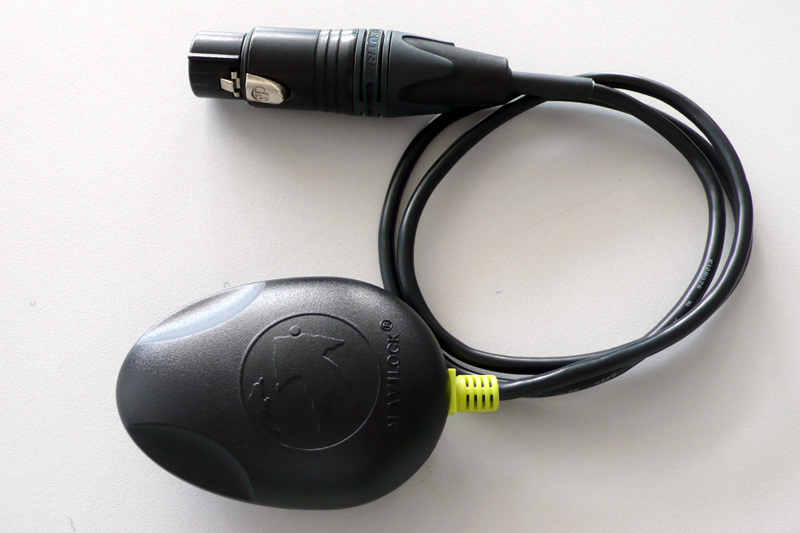 In addition GPS data is also recorded from a GPS module to support the user with a compass function or to find the different fields after recording again. For the professional users additional Hard- and Software will be available for storing positioning data from GPS and several DEEPMAX Z1 detectors. To analyze the different pictures generated with the software refer to the following instructions. 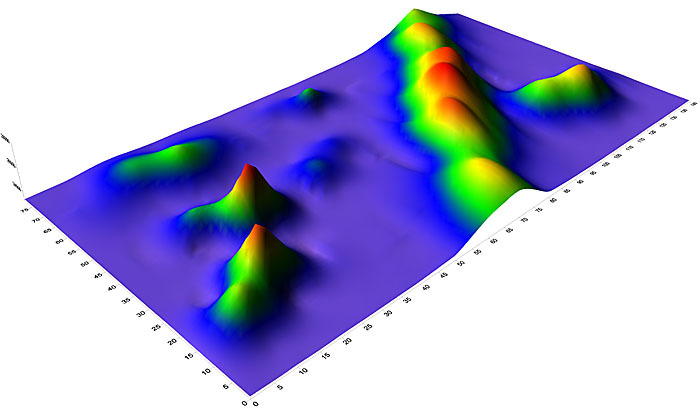 Compared to many other systems the Lorenz DEEPMAX Z1 will not only generate one or several graphic representations with different sensitivity ranges for the same metal objects but also gives additional information on the probable kind of metal being located. False or overload data will be easily recognized on one or two of the maps. At the same time you will find useful data on at least one or two channels. When looking at the different maps/pictures select only these with no ground signals or with the stronger indications to avoid investigating on the small junk objects like foils, nails, magnetic soils or littered ground near the surface. Some signals appear on one scan and disappear on others to give the operator more advanced information on the kind of metal (decay of the eddy currents) or the surrounding ground conditions. It is possible to separate two or more different metal objects which give only one large indication in the Delay channels but two on the Metal Classification or Ground channels. Some ferrous metal objects lying horizontally in the ground will cause a special double or triple signal. Signals with a fast decay of the eddy current like foils, thin plates small nails will generate a small peak in the vertical Z direction in Ground 1 and 2 channels. 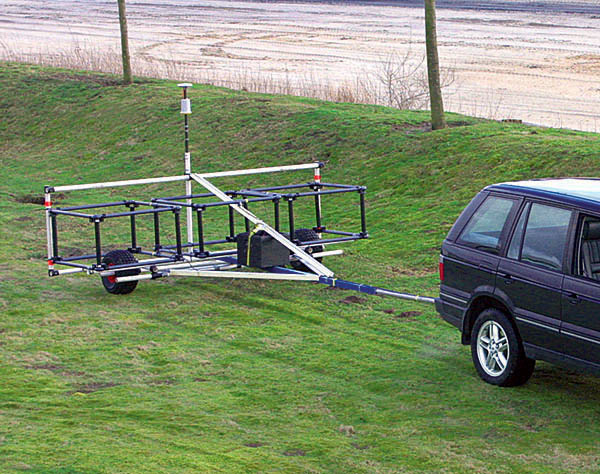 Ferrous metal objects will give weaker signals and therefore a small indication. 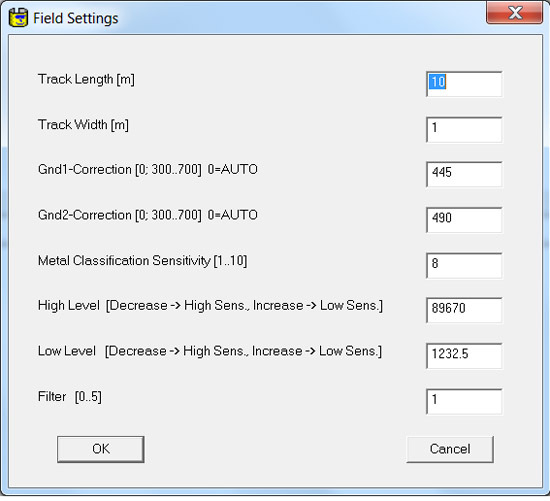 When looking at the Ground channels most of the ground and some of the smaller ferrous items will no longer be displayed comparing them to the Delay channels.